You heard right! 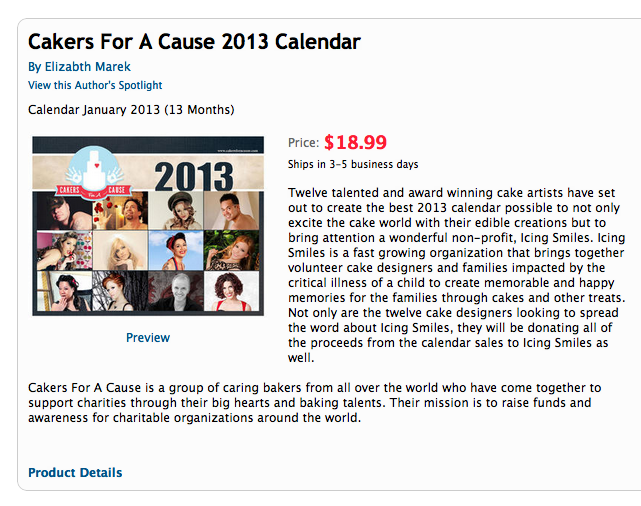 The 2013 Cakers Calendar is for sale! Click below to buy your copy now! Remember, all proceeds go towards the wonderful non-profit, Icing Smiles! This calendar is PACKED full of awesome cakers and some amazing cakes! Each photo is colorful, glossy and super creative! Get your copy now!